Joy is in the eye of the beholder. Every day is an opportunity to experience some type of joy or happiness, but we need to seek it out rather than just wait for it to come our way. Adventure Travel and Books are an excellent way to find that joy each day. I just re-read a dandy that I wanted to share my thoughts on because I feel like everyone could get their own dose of happiness out of it and definitely get you revved up for some international adventure travel! 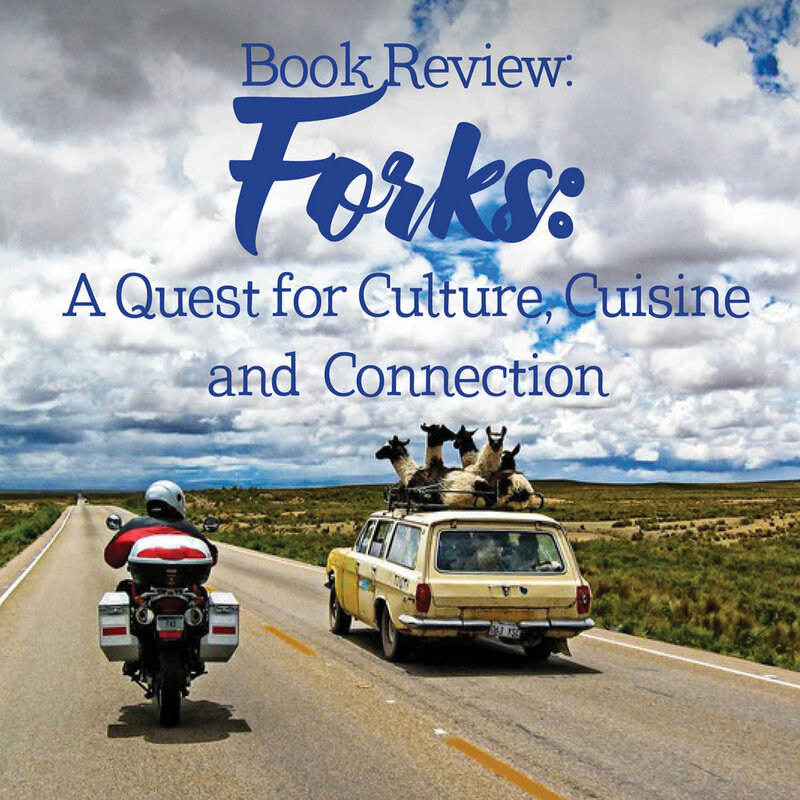 The book is called FORKS: A Quest for Culture, Cuisine, and Connection. It is by Allan Karl and on my day job website Marketing Fun With Mike I did an interview with him. Allan Karl always had a dream of taking his motorcycle out on the road and riding around the world. He did just that and this book is his account! One Motorcycle. Three Years. Five Continents. You may think it’s all about adventure and travel; which it has its share as he rides from Alaska to Honduras to Patagonia over to Turkey, Kenya, and Botswana! He journeyed to 35 countries in all. But it’s much more. The book hit home with me not only because of the adventure story but the most beautiful photography in any book I have ever owned. Even more than our own #Hashtag59 Limited Edition Prints! All pics were photographed by Allan or people along his journey that he met. Photo Cred: Allan Karl and the FORKS Book. The other incredible part is the food! This is part cook book with incredible recipes of food he tasted with friends that he made along the ride. I have been using recipes from the cook book multiple times per week since I got the book a number of years ago. The biggest takeaway is that we are all oh so different but just the same. We all yearn for friendship, companionship, and relationships. Allan’s book is about stretching yourself to achieve your dreams, to see the world in a little different light than you are used to, and to understand the lifeblood of this planet comes down to the relationships that we are willing to forge each and every day with all types of people. Allan's book is literally the mission are aiming to accomplish on Hashtag 59! It’s an incredible read and I highly suggest you grab a copy on his website or on Amazon! I’ve gotten to know Allan over the past years and he is a kind, caring, and open person and all he wants to do is spread the good vibes this book sends out. If you don’t want to just take my word for it he was on Good Morning America Memorial Day Weekend then fit in the podcast with me between interviews with Forbes and Newsweek! Grab a copy, have some friends over, read a chapter together, get your FORKS out and make one of the great meals while you marvel at the photography of the coolest coffee table book since Kramer’s release in Seinfeld! Thanks for reading everyone! Have you read the book or rode a motorcycle around the world? Sign up in the email footer to be auto entered for our next limited edition print giveaway in November!